Relief tile with "Cineraria" design for decorating vintage style kitchen backsplash, bath wall and stairs. Handcrafted with mustard, black and plum color over green. 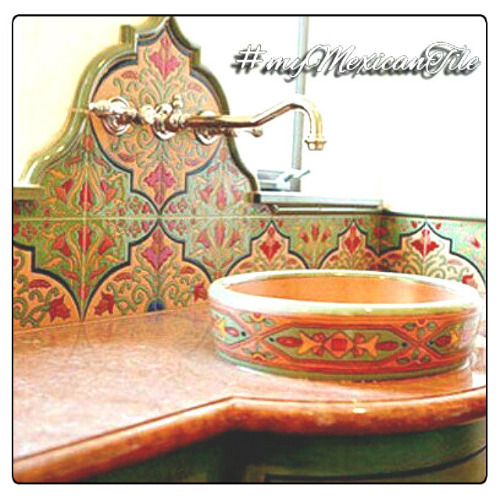 Production of talavera relief tiles including free delivery from Mexico to the US estimated for four weeks. My kitchen being upgraded from no style to Mexican flavor needed a new backsplash tiles. I decided to go ahead with relief tiles because they were more expensive and looking as such. I was concerned slightly due to lack of samples prior to making the purchase as the tiles were custom made and small quantity were not available. The order arrived with Fedex in five weeks what they said was going to be an approximate time frame. 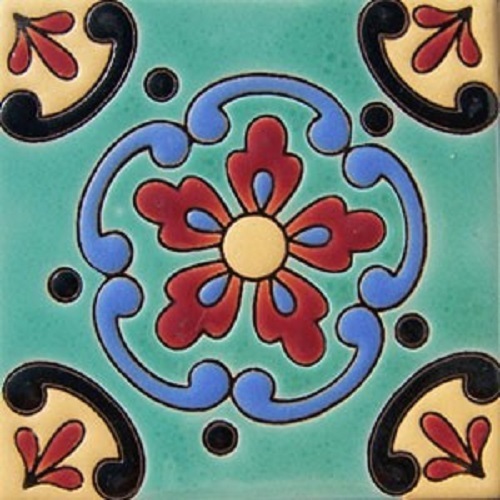 I am satisfied buyer and I would recommend mexican-tile.net to my friends.